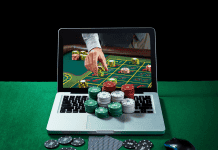 UNSURPRISINGLY, the prevailing attitudes to online gambling vary wildly across the globe. No two regions embody this difference better than Europe and the U.S., as while the former has embraced the market and adopted a policy a widespread legalisation and detailed regulatory measures, the latter continues to employ blanket bans nationwide. European countries have benefited from the taxable revenue that a legalised online gaming industry provides, with Spain a providing a prominent example. Just the nation’s virtual gambling market attained record highs during the fourth quarter of 2016, its GDP growth accelerated by 0.8% at the beginning of the new year. While there is more to Spain’s GDP growth than a buoyant virtual gambling sector, of course, this market has played a role in driving the country out of more austere times. The numbers make for truly impressive reading too, with the market’s growth revenues for 2016 soaring by a staggering 32.6% to €125.7 million during the fourth quarter. During the same period, the cumulative amount wagered by customers also rose exponentially, climbing by 19.9% to a total of €2.9 billion. Even more impressively, the number of people signing up for new accounts online continued to rise, increasing by 10% to 598,000. Conversely, active players saw an increase of 17.3% on 2015’s figures, which in turn highlights effective of online promotions and marketing campaigns. 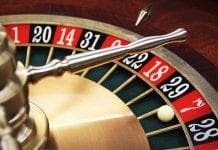 At the heart of this growth is casino gameplay, which has benefited from sustained regulatory measures and the presence of independent comparison sites such as www.bestonlinecasino.uk . 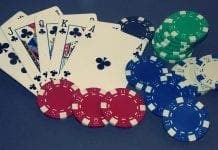 By the end of last year, virtual casinos held a 28.6% share of the online market, with video pokers and slots the dominant niches. Online poker in Spain had a particularly interesting year in 2016, as while it experienced a drop in the amount wagered, its revenues increased marginally. Sports betting also had a seminal impact on the nation’s fourth quarter results, as it generated a record total of €69.8 million to the overall revenue. This accounted for an impressive 55.52% of Spain’s total gambling revenues, as one of Europe’s most traditional offline markets made the transition online. This is a trend that has also been replicated across Europe, and particularly in market leading destinations such as the UK. While the growth of Spain’s online gaming market may be part of a wider theme that has been seen across Europe, its figures have been particularly impressive. The growth of this sector shows no sign of abating, either, as the market continues to thrive on the back of innovation, effective regulations and the rise of mobile technology. With this in mind, do not be surprised if Spain’s virtual gambling sector experiences similar levels of growth throughout 2017, or if its GDP also continues to showcase impressive gains. Is this ad? U r passing it off as news!